The Institute of Psychosynthesis of Italy, together with the Italian Society for Psychosynthesis Psychotherapy in Florence (S.I.P.T. 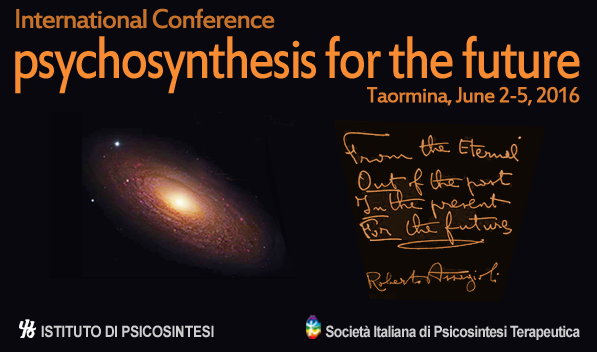 - Società Italiana di Psicosintesi Terapeutica), is happy to announce the International Congress of Psychosynthesis that will be held from the 2nd to 5th June 2016 in the splendid setting of Taormina, Sicily. Participants will be welcomed by truly mythical surroundings, immersed in the light of the Mediterranean and cradled in the glory of a culture reaching back over thousands of years.